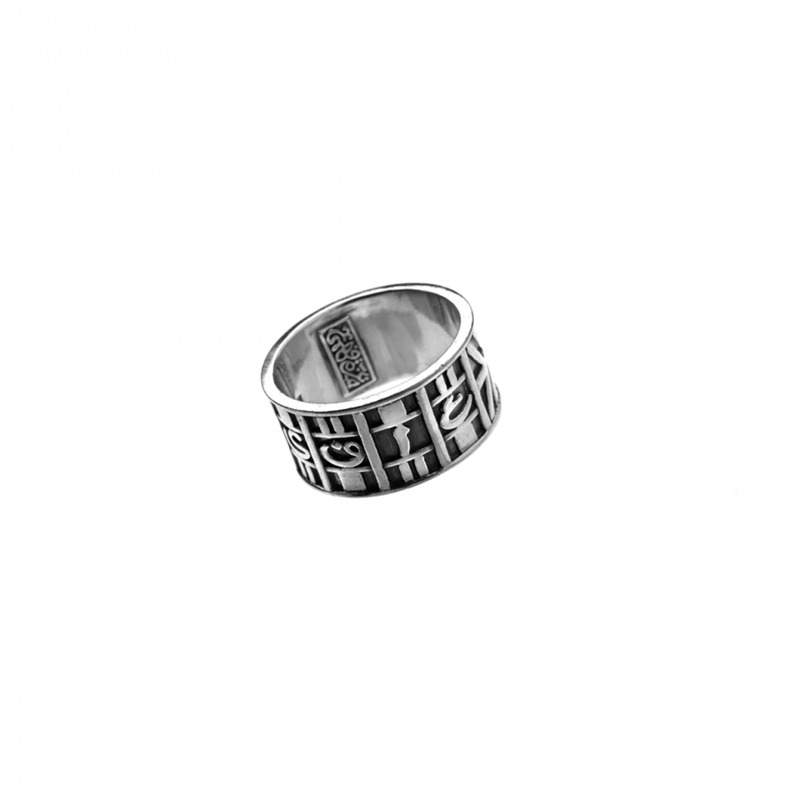 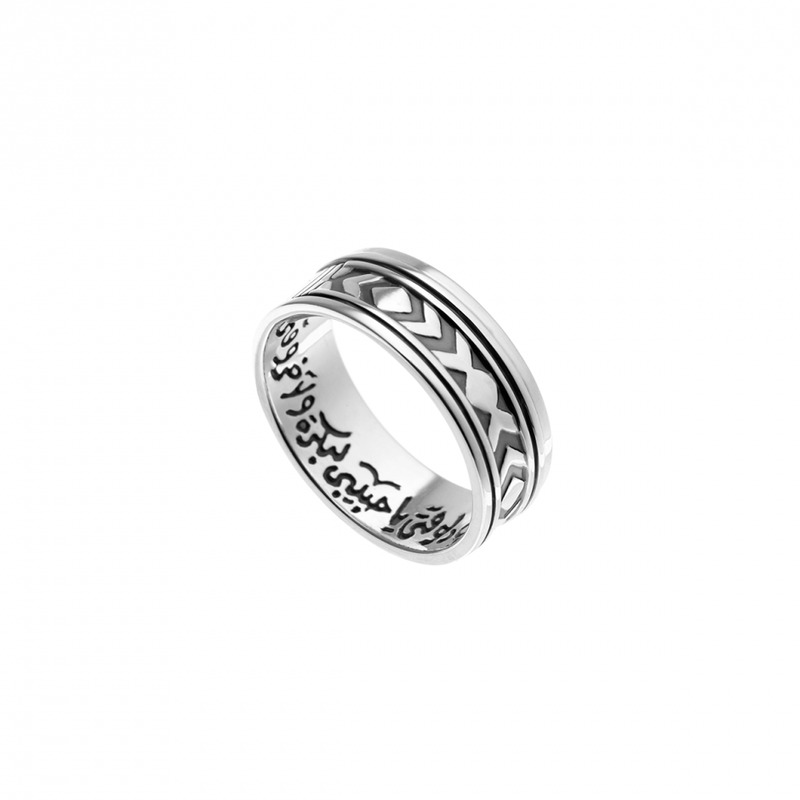 A classic band For Men set with calligraphy and geometric engravings, in sterling silver. 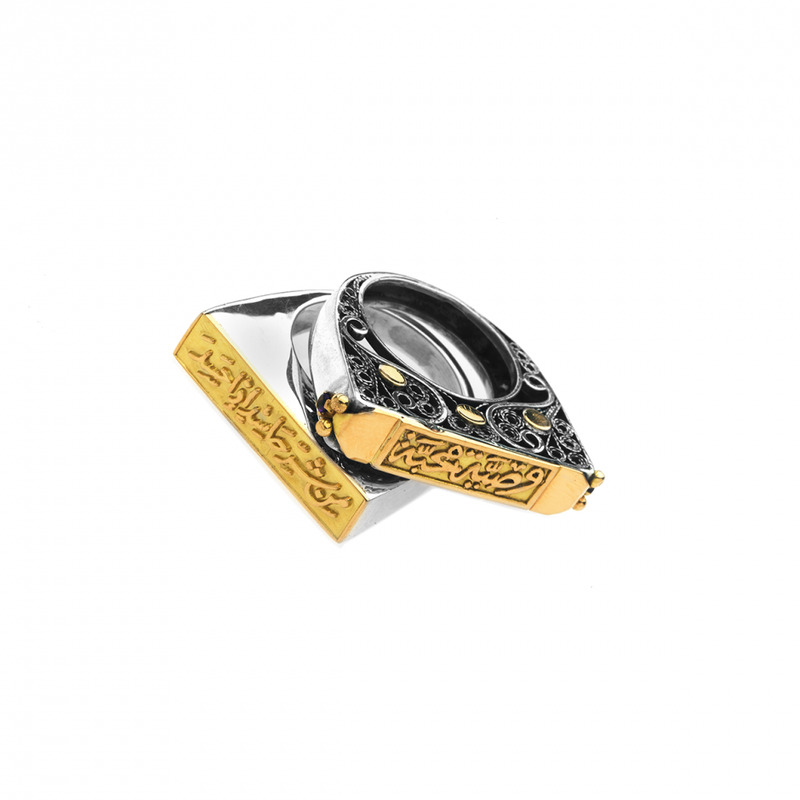 A hidden love message sealed inside this 18kt gold and sterling silver ring spelling ‘You’re the one’, inspired by Umm Kulthum. 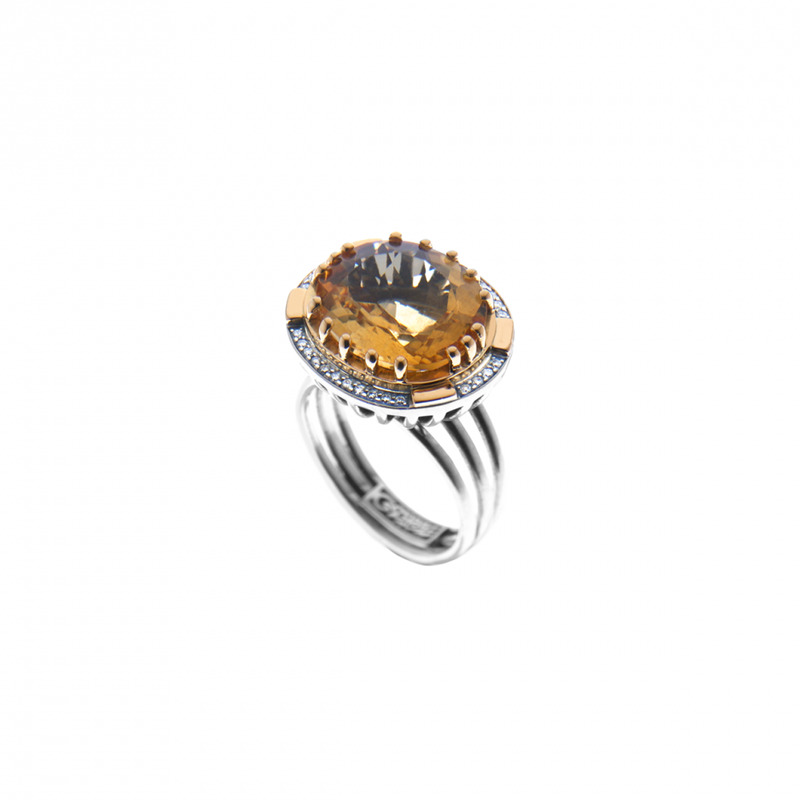 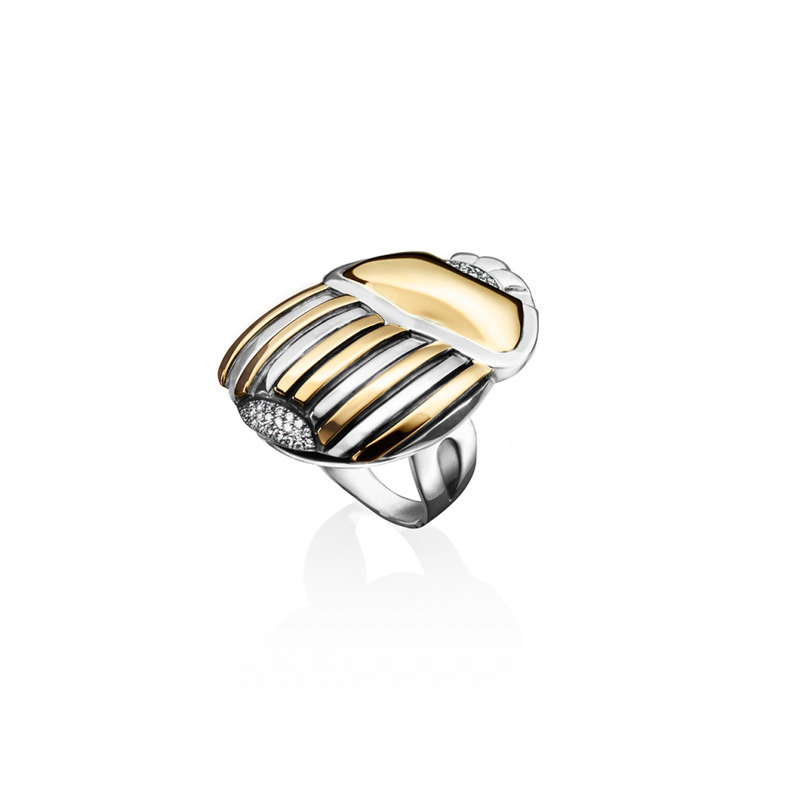 A Sterling silver and 18kt gold scarab ring encrusted with pave diamonds. 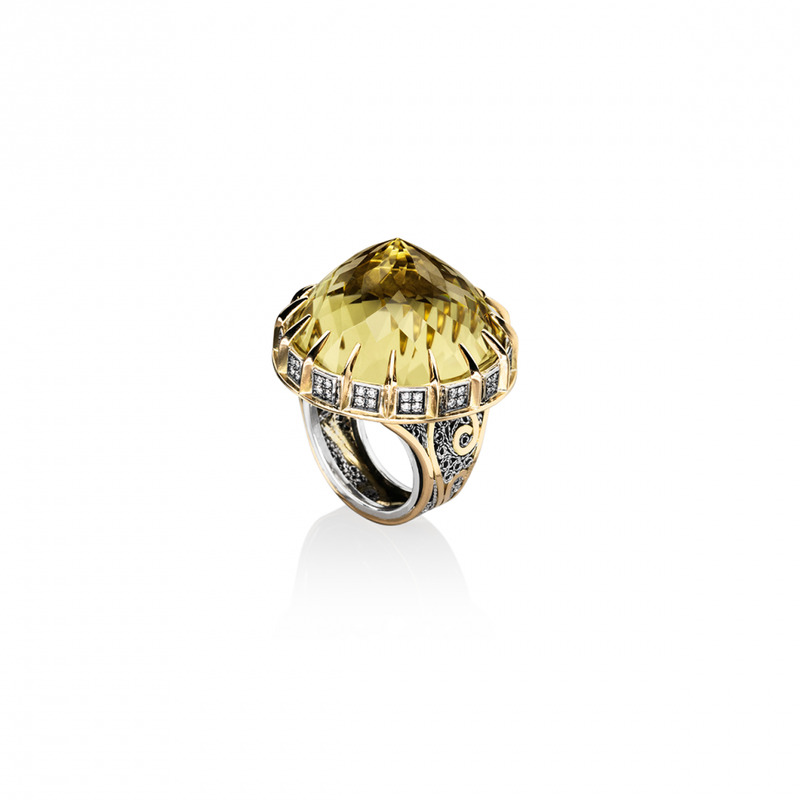 An all 18kt golden scarab ring encrusted with pave diamonds. 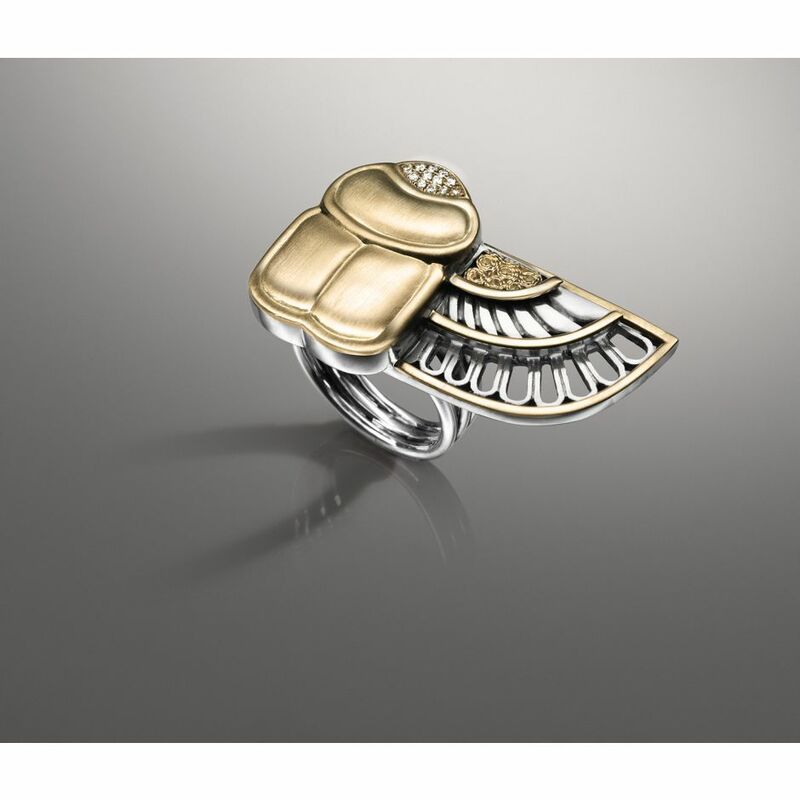 A winged scarab ring protecting its wearer is encrusted with pave diamonds, in rare filigree, 18kt gold and sterling silver. 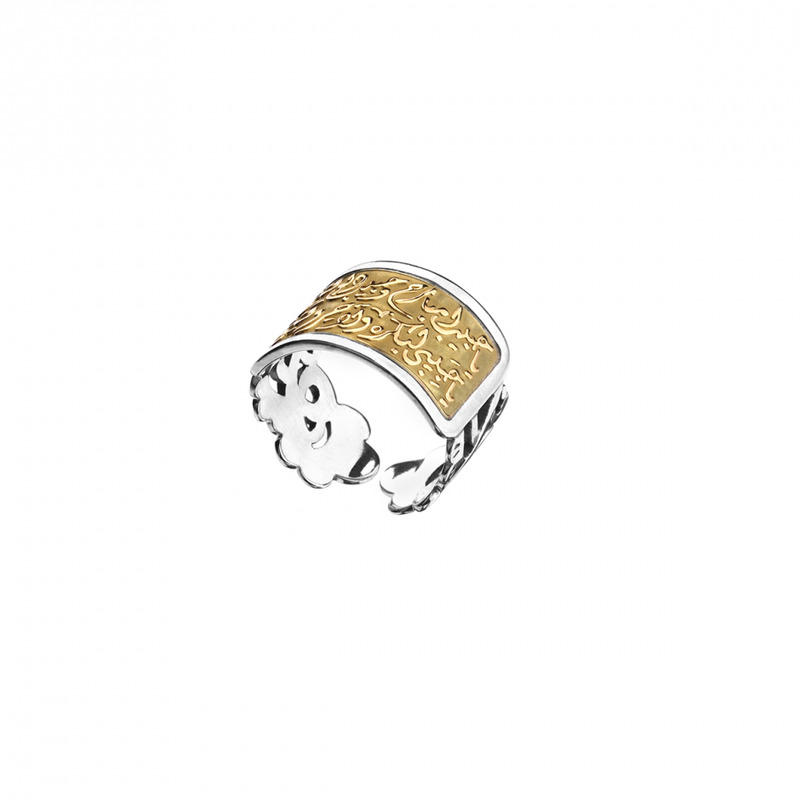 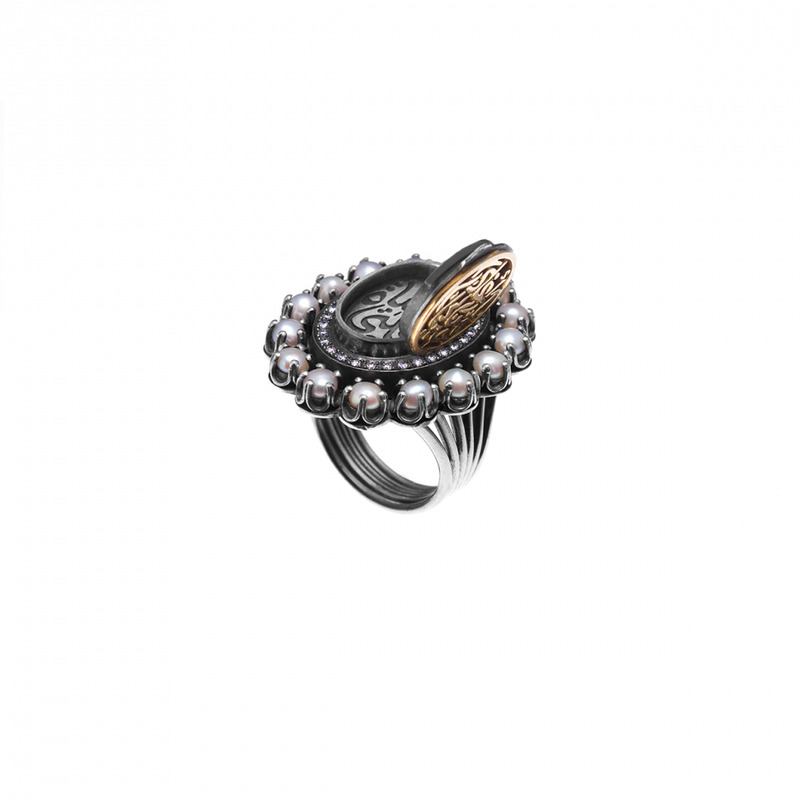 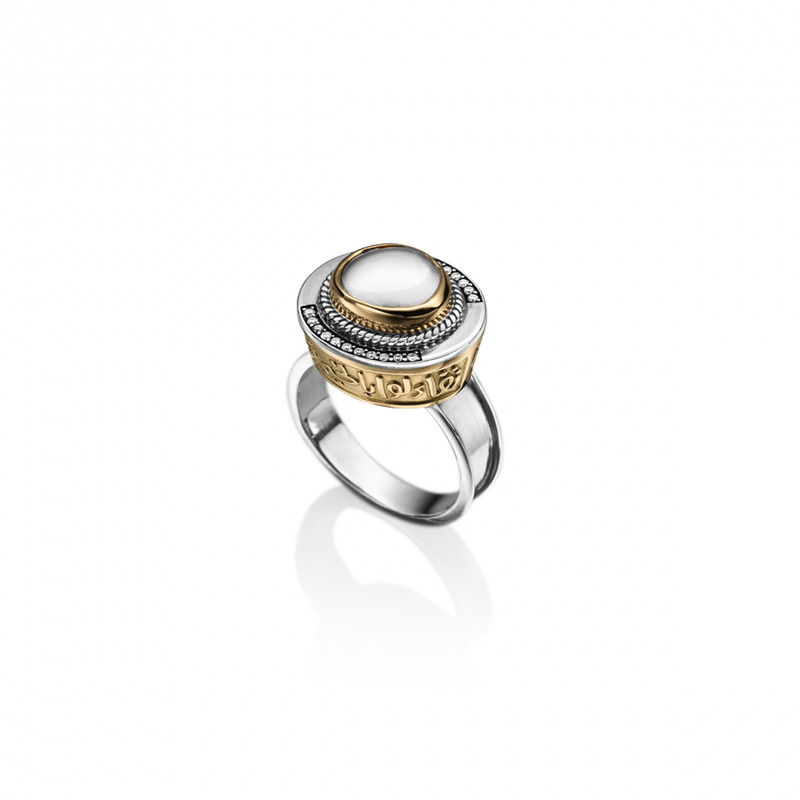 A glorious creation reminiscent of antique coins, 18kt gold and sterling silver. 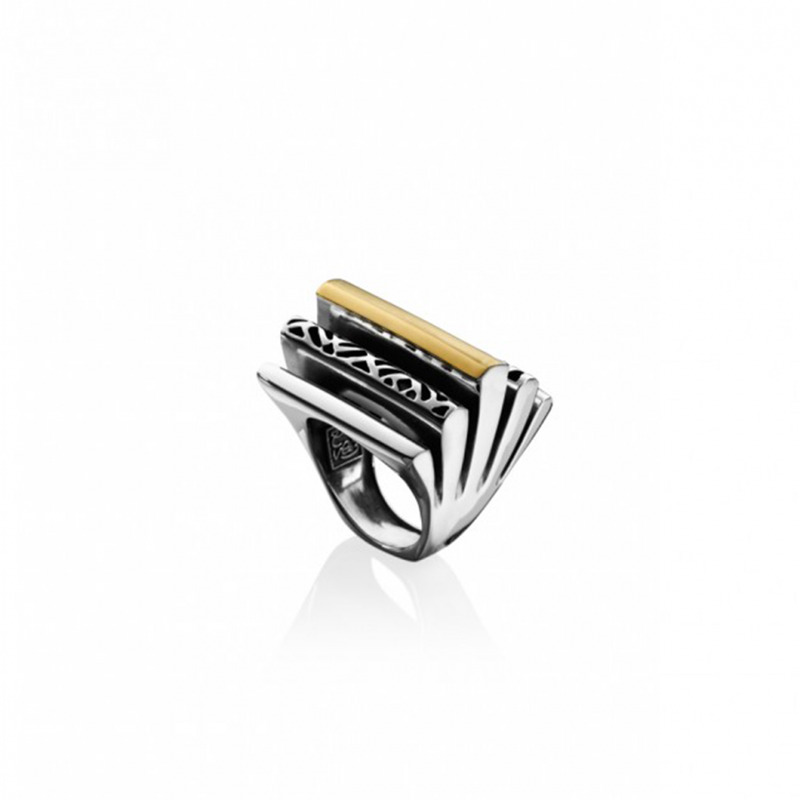 Oversized ring in 18kt gold and sterling silver layered in geometric textures and asymmetrical forms. 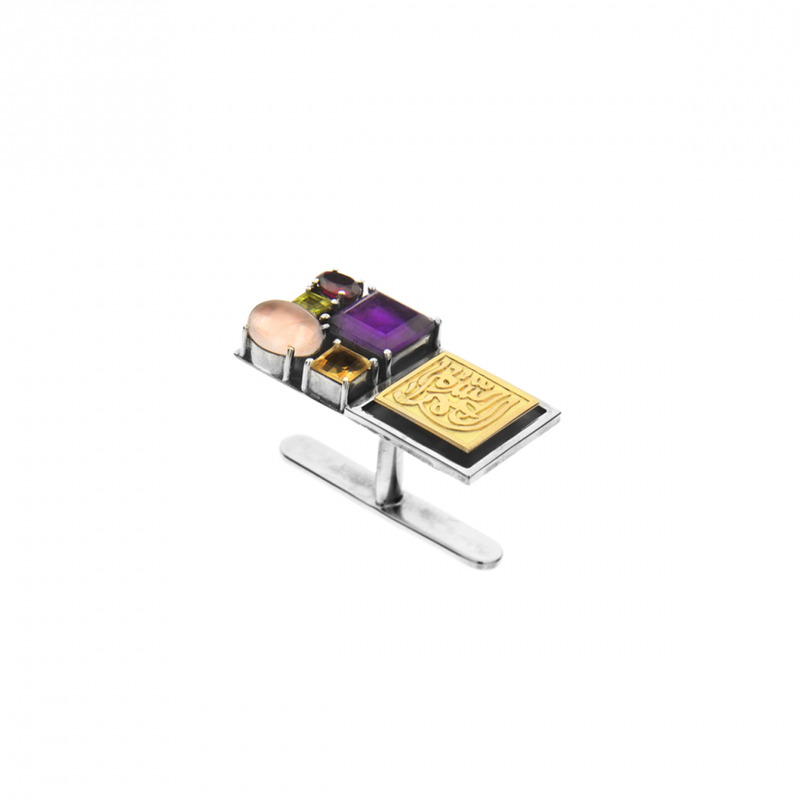 Comes in polished and matt finishes. 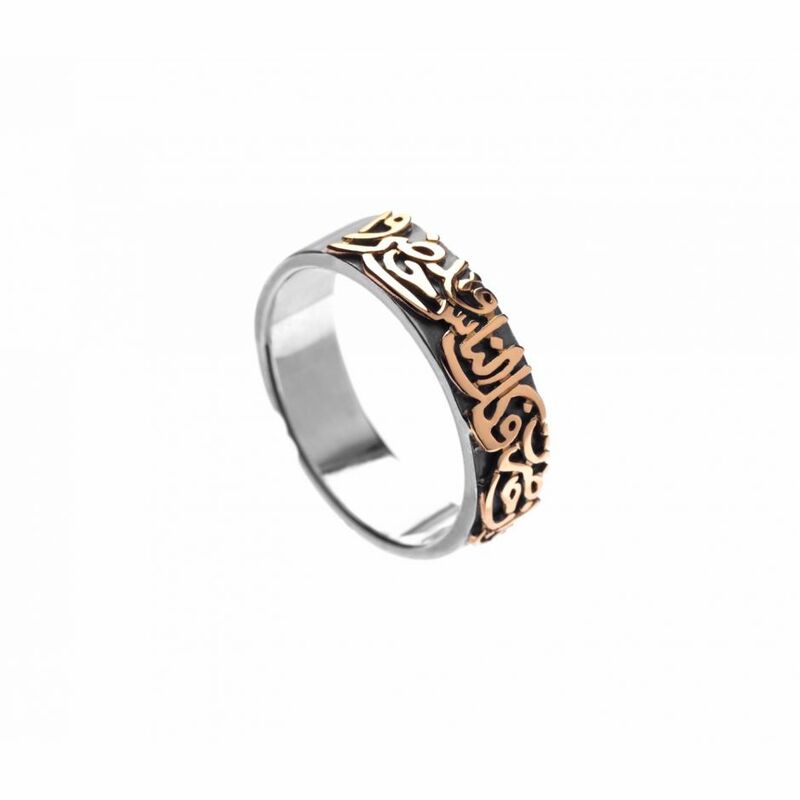 18ct gold and silver classic adorned with enchanting verses sung by Egypt’s voice Umm Kulthum in 1965. 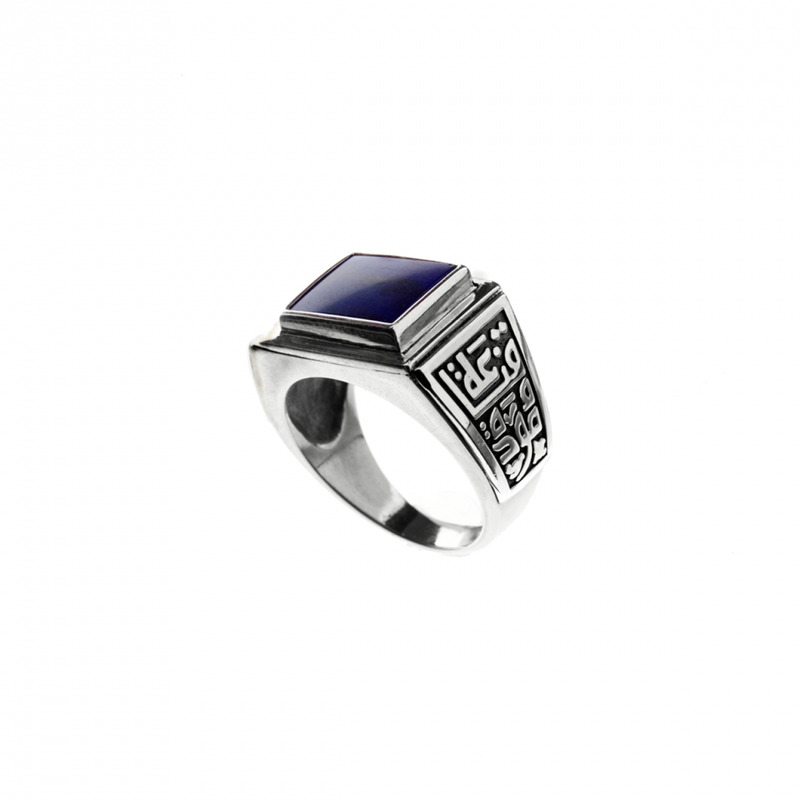 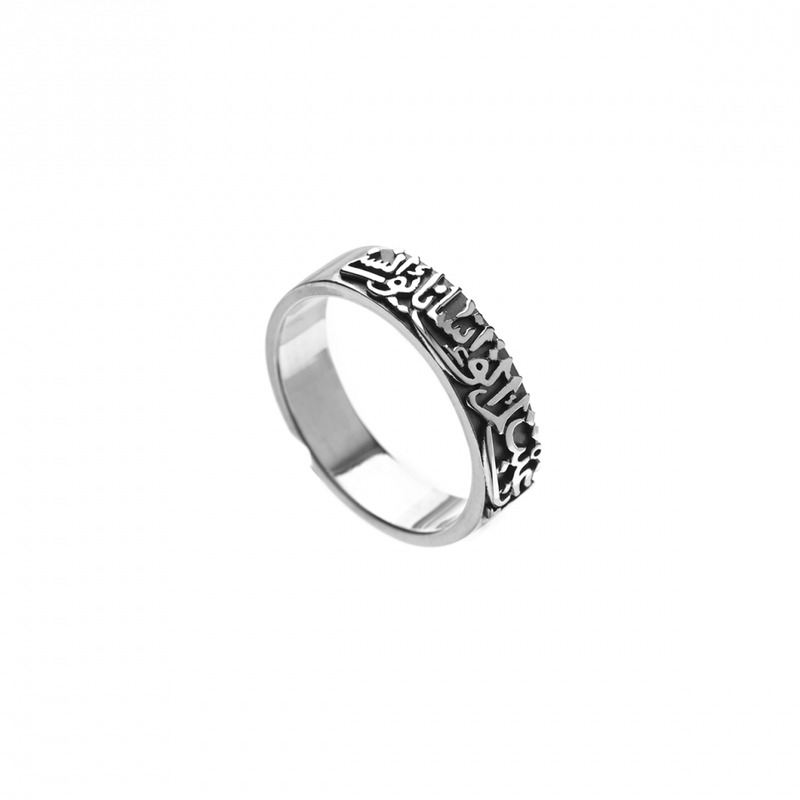 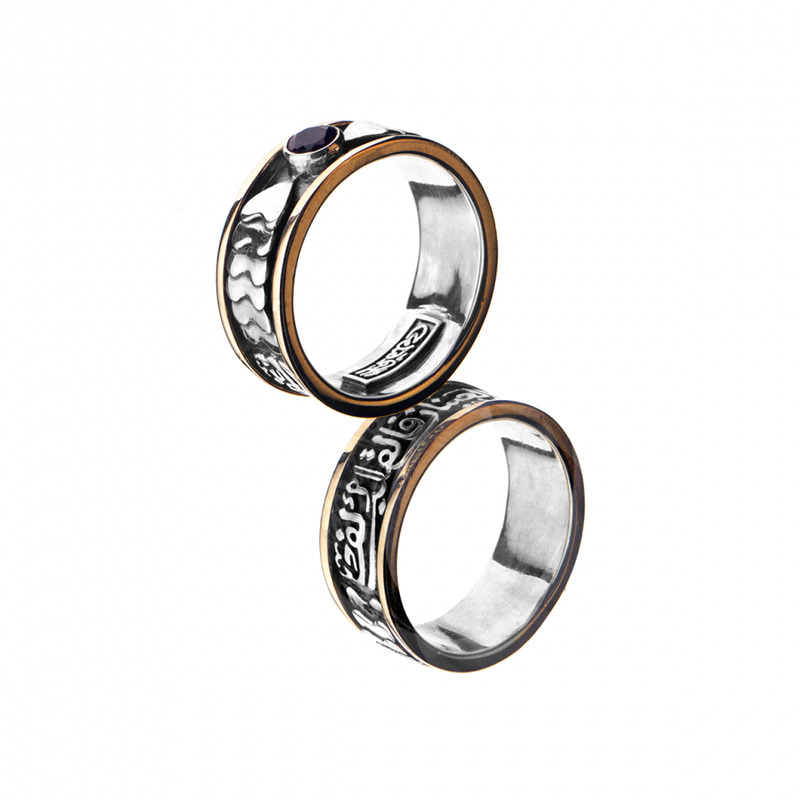 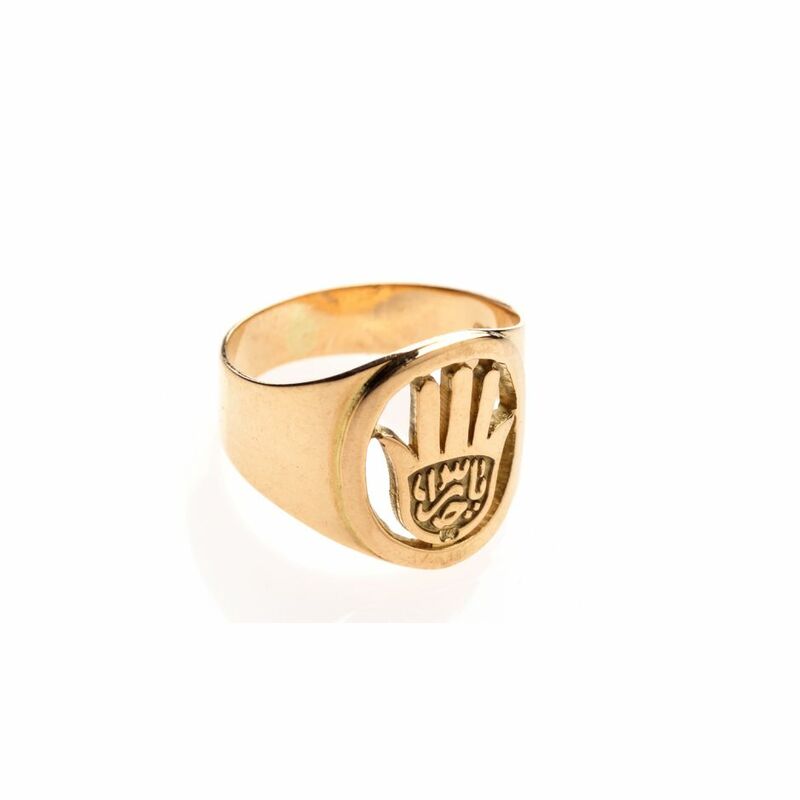 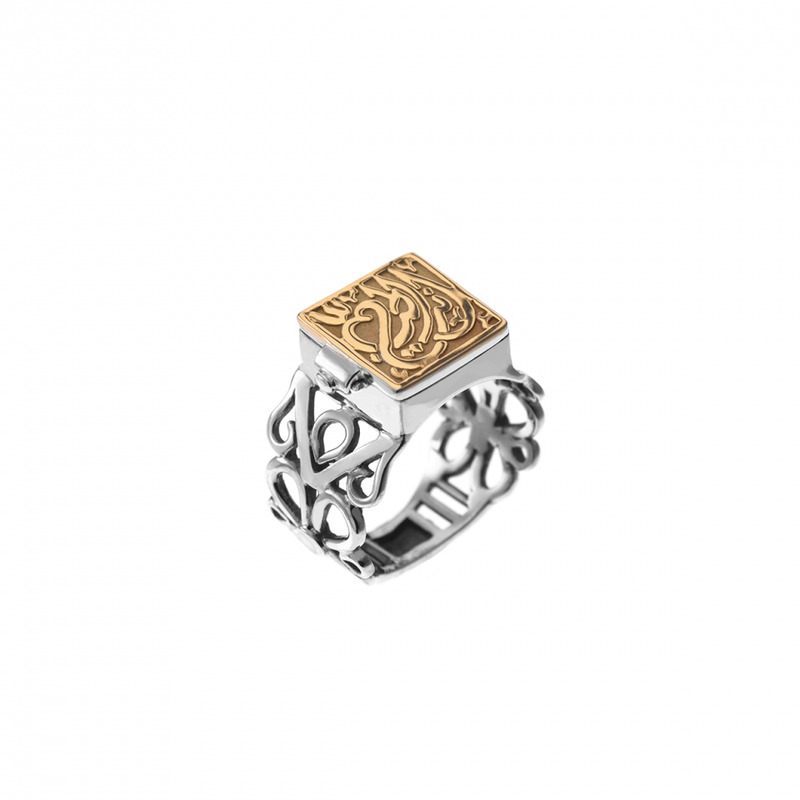 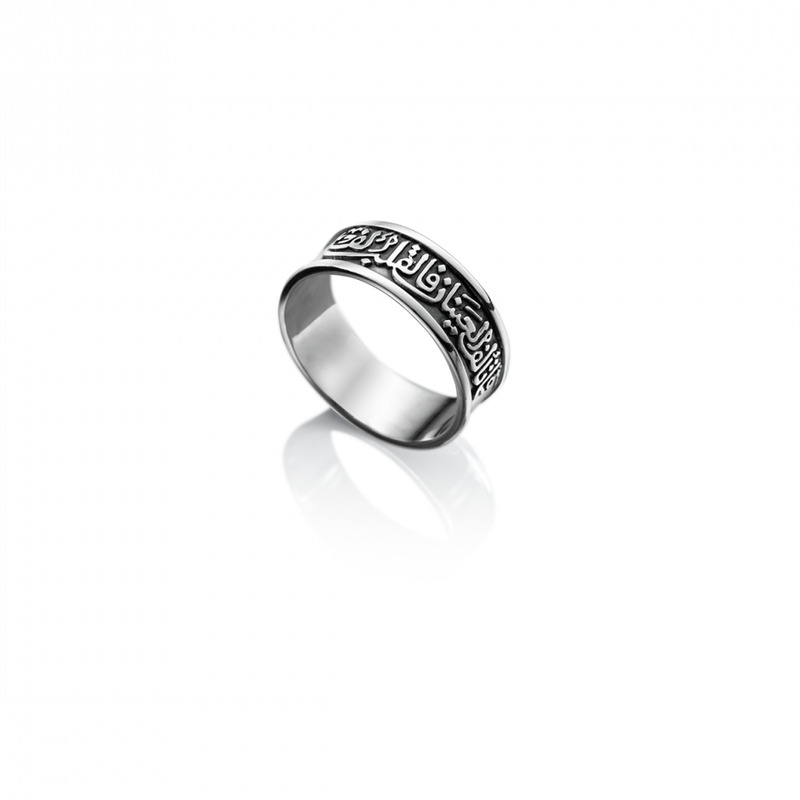 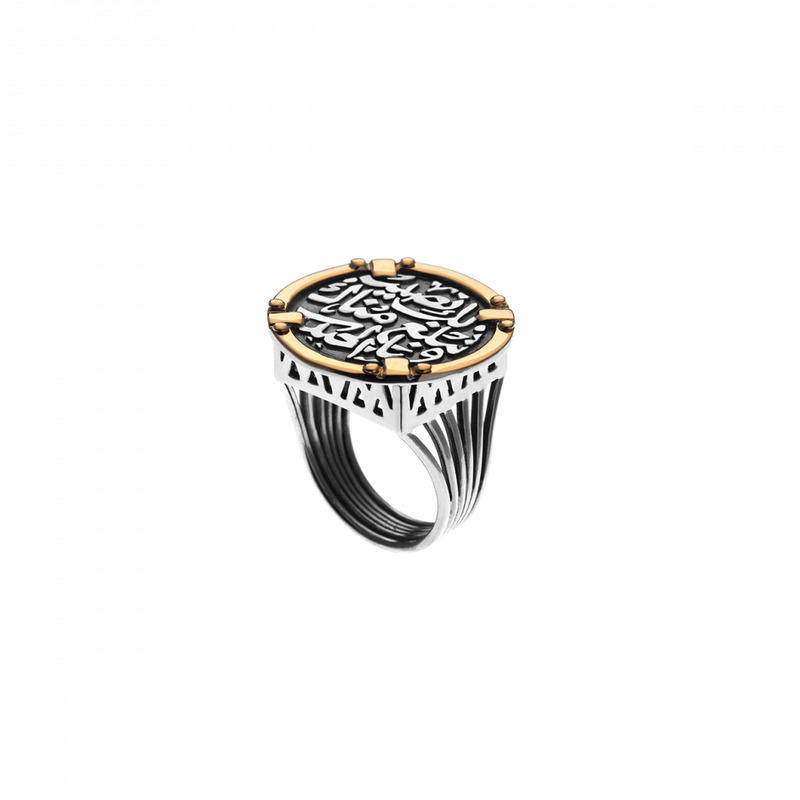 A classic Sterling silver ring for Men adorned with inspirational inscriptions in signature Azza Fahmy calligraphy.